If you are looking for an affordable way to replace missing teeth, the dentures of today are modern and well-fitting. At Q Dental Bulimba we can offer a variety of appliances that you will find durable and extremely comfortable. Peter Fuller is our experienced prosthetist who make sure you get the perfect fit. Our sister practice in Mt Gravatt has an onsite dental lab which allows us to provide you with custom made high quality devices. Need teeth extraction or surgery before your new dentures are fitted? We can manage this on-site with a variety of sedation methods to ensure you are comfortable. Providing choice and support for the residents of Bulimba is central to our aims. We can provide a car pickup service to allow patients to be brought for treatment. If circumstances require, we can even arrange a bedside visit. Firstly, we will take an impression and also make any necessary extractions. 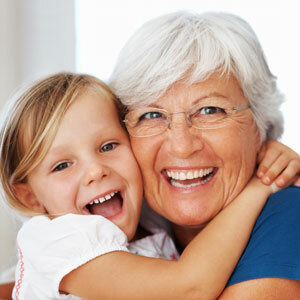 We can provide you with a temporary denture that will assist with healing. We’ll talk you through all procedures and make sure you understand how to care for your healing gums. Our dental lab can provide very durable and comfortable clasp solutions to ensure your partial dentures fit securely to your existing teeth and are hidden as you smile. It’s possible to provide an extremely durable solution with implant retained dentures. You’ll need between two to four implants to hold the denture in place securely – we’ll talk you through the various options. If you’ve tried dentures before and have been unhappy with their stability, implant supported dentures will provide noticeable improvements. All our dentures are designed to look natural. Our on-site lab allows dental technicians to liaise directly with your prosthetist and obtain wonderful results.